Tobacco smoke contains nicotine and many other compounds that act in concert on the brain reward system. Therefore, animal models are needed that allow the investigation of chronic exposure to the full spectrum of tobacco smoke constituents. The aim of these studies was to investigate if exposure to tobacco smoke leads to nicotine dependence in rats. The intracranial self-stimulation procedure was used to assess the negative affective aspects of nicotine withdrawal. Somatic signs were recorded from a checklist of nicotine abstinence signs. Nicotine self-administration sessions were conducted to investigate if tobacco smoke exposure affects the motivation to self-administer nicotine. Nicotinic receptor autoradiography was used to investigate if exposure to tobacco smoke affects central α7 nicotinic acetylcholine receptor (nAChR) and non-α7 nAChR levels (primarily α4β2 nAChRs). 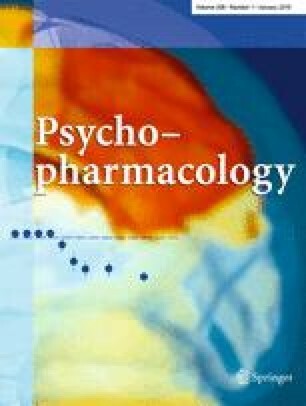 The nAChR antagonist mecamylamine dose-dependently elevated the brain reward thresholds of the rats exposed to tobacco smoke and did not affect the brain reward thresholds of the untreated control rats. Furthermore, mecamylamine induced more somatic withdrawal signs in the smoke-exposed rats than in the control rats. Nicotine self-administration was decreased 1 day after the last tobacco smoke exposure sessions and was returned to control levels 5 days later. Tobacco smoke exposure increased the α7 nAChR density in the CA2/3 area and the stratum oriens and increased the non-α7 nAChR density in the dentate gyrus. Tobacco smoke exposure leads to nicotine dependence as indicated by precipitated affective and somatic withdrawal signs and induces an upregulation of nAChRs in the hippocampus. This research was funded by a Flight Attendant Medical Research Institute Young Clinical Scientist Award (Grant nr. 52312) and a National Institute on Drug Abuse grant (DA023575) to A. Bruijnzeel. The authors would like to thank Ms. Deann Hopkins and Ms. Sara Cambron for technical assistance with the receptor binding studies.